It has been 76 days since Roberto Martinez was sacked at Everton FC and it is safe to say that since the Spaniard’s departure, a wave of optimism and freshness has engulfed our Club and its supporters. Not only did we need a change at the managerial helm, but we needed to draw a line under the seasons of 2014/2015 and 2015/2016. Those two seasons had seen Everton regress – even though we apparently had our best squad on paper for many years – and the Martinez era came crashing to a close on 12 May 2016 as Everton faced a successive bottom half finish under the former Wigan man, even though his maiden season in charge had offered so much hope. A fifth place finish in 2013/14 became a distant memory as Martinez’ side under-performed and flattered to deceive during the two years that ensued and we became such a sorry sight that it was inevitable that changes would simply have to happen. Fast forward a couple of months and the clouds of disappointment and frustration above Goodison Park have lifted. There’s a spring in Evertonian’s steps, there’s a project and plan in place to move this Club forward, from top to bottom, and it is certainly refreshing to see. Everton moved swiftly to appoint Martinez’ successor; they identified a target and even though there was a delay in confirmation it was clear from the offset that Ronald Koeman was to be the next Toffees Manager. With that appointment came mixed opinion – some wanted an even bigger name, someone with more managerial success and they pointed the finger at Koeman’s mixed managerial record – however I’d say the majority of Evertonians welcomed the news and were pleased with the Dutchman’s appointment. Koeman comes with experience, on the field and off it, and his recent spell at Southampton certainly gives him a strong knowledge of the English game. He is a footballing icon, with his own methods, a vast array of contacts and the type of personality that we need at Everton FC. He’s a leader, a winner during his playing days, and his positive, honest and charismatic approach to coaching and management is something that has already shone through at Finch Farm and beyond. Koeman has brought in his own staff – most notably his brother Erwin, fitness coach Jan Kluitenberg and goalkeeping coach Patrick Lodewijks – and he has retained Duncan Ferguson as part of his First Team coaching set-up also. Although pre season is just getting off the ground, the sound bites coming from Everton’s players are positive; they all seem to have a hunger, a desire and willingness about them – something which had been lacking towards the end of Martinez’ reign. Koeman isn’t afraid to mix it up with his style, our players will have to adapt just as they did under Martinez, and it appears that our new manager likes to play good football but isn’t afraid to go direct if necessary too. Also there seems to be a big focus on fitness – Kluitenberg’s appointment will be interesting in itself – as many of our players were criticised over fitness concerns last season and Martinez’ training methods came under scrutiny. Koeman is obviously making his mark on the training ground and around the Club, he will be working tirelessly to identify his targets and I’m confident he will put us in good shape before we kick off the season on August 13th against Spurs in front of a packed out Goodison Park. Koeman’s only signing to date is Maarten Stekelenburg – a Dutch ‘keeper who comes in as back up to Robles – or potentially as back up to an additional new goalkeeper as I’m sure most of us would agree that we still need one. Robles is OK, however he isn’t great, we need a long term option in that department and the links with Kasper Schmeichel, Joe Hart amongst others seem to suggest we are in the market for a top goalkeeper and that is certainly a position we need to bolster. We’ve been linked with numerous other players – the likes of Kalidou Koulibaly (try saying that after a few Chang), Axel Witsel, Marko Arnautovic, Edrissa Gueye, Robbie Brady, Lamine Kone, Juan Mata and Wilfried Bony to name but a few, however I am not reading too much into the rumours. Of course it is a well-known fact that we do have more money to spend these days so it is nice to be linked with new players, and many of which are of a high standard, however I’m quietly confident that Koeman and his staff will have a plan in place and bring in sufficient quality by the end of the transfer window to allow us to kick on. This quest for fresh talent has brought about another major appointment at the Club – more specifically within a Director of Football role. This new responsibility at Everton falls with Steve Walsh who last week moved from Premier League Champions Leicester City across to Goodison Park to be part of the new project at L4. Walsh only signed a new deal at the Walkers Stadium as Head of Recruitment in May, but after compensation was agreed between Everton and Leicester, Walsh has now been appointed at Goodison Park and spoken of his excitement at the move. I believe this is a major statement in itself – a guy who has been credited as being a huge part of Leicester’s recent success – is willing to walk away from the League Champions and take on another role at Everton. Obviously money is always a factor, but I believe this appointment, along with that of Ronald Koeman, speaks volumes about how Everton are moving forward. There is a pro active manner in which we are going about things these days and I feel that this new mentality is down to one man and his plan, and that man is Farhad Moshiri. Even though Moshiri has been at Everton for over six months now, the positive steps he is making as our majority shareholder behind the scenes are coming to fruition; we are seeing his vision for the Club slowly taking shape, as Everton plan for a new season and hopefully a bright future also. Starting with the sacking of Martinez and appointment of Koeman, it wasn’t too long before Moshiri had to make some difficult decisions at Everton FC. The Iranian came to the Club at a time when there was unrest amongst supporters, supporters who had grown tired of underachieving both on the pitch and off it, and ending Martinez’ stint as Manager was the first critical decision Moshiri was to be a part of. 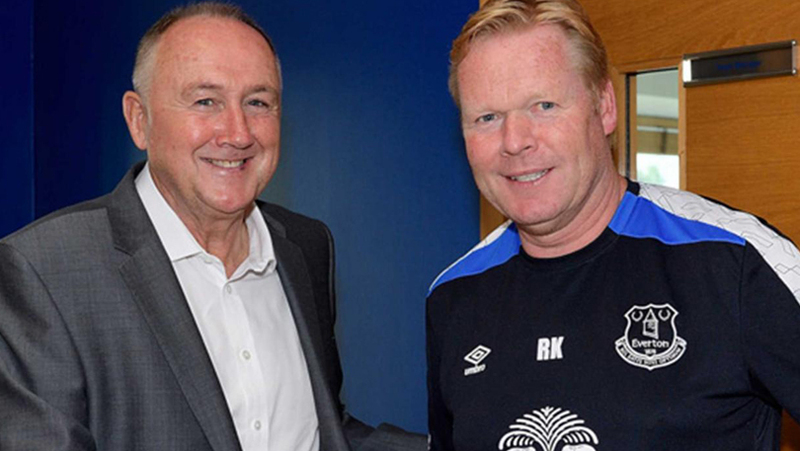 Since then, the appointment of Ronald Koeman was another big step for the Club and the people who run it. Usually it is our players, staff or manager that are plucked away from us by a so-called bigger Premier League Club, it happened with David Moyes, it has happened with dozens of our players, however this time the shoe was on the other foot. Koeman was at Southampton, and we’ve gone in and taken him, this time the poached have become the poachers, and even though this common theme of modern day football does not sit well with many, it is refreshing to see my own Club act this way after years of always being second best. Obviously we have a long way to go if we are to become a top Premier League side, and class ourselves as one of the powers, but the way in which we look to be conducting business these days proves that Everton are going to make a statement in the English game. There may not be a Robinho type signing to announce ourselves on the scene, we will go about our business smartly, quietly, but slowly build towards what I hope will be a successful period for the Club. I believe Walsh’s appointment also signals our intent. He will work closely with Koeman and identify where we need to strengthen, the targets will be there and with financial muscle we will be able to bring the required talent on board. It’s a new model, a fresh start, and I have faith. This is all part of Moshiri’s plan – he’s a man with ambition, experience of working with successful football clubs, he wants Everton to be successful but to also maintain our values, and this is evident in his opening six months at Goodison Park. There is simply no fuss with him – he keeps quiet and has hit the ground running, and this is something that has so far impressed me. He doesn’t want any fancy interviews discussing how much he is worth or what we might achieve, he is a shrewd businessman who doesn’t need the limelight, unlike some members of other football club’s boards. This was again evident when Moshiri met with Joe Anderson recently to discuss a potential new ground for Everton. Anderson said he was blown away by Moshiri’s passion for the Club, his ideas behind taking us forward but keeping with tradition, making us a success but continuing our community brand, he has a balanced plan and understands how Everton operate. Anderson was also impressed by Moshiri’s knowledge of the game – which is refreshing in itself as we know not all businessmen in football care about on-field matters. 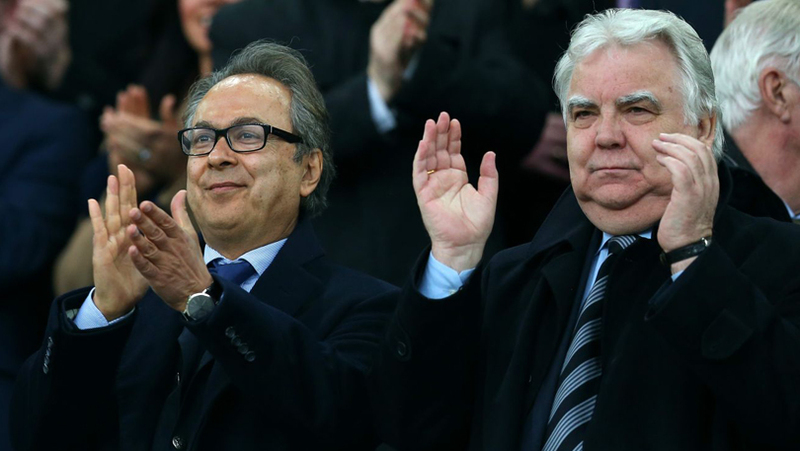 Moshiri obviously does, and along with Bill Kenwright, who was also at the meeting with Anderson, the discussions and proposals have begun regarding a new stadium for Everton FC. I’m not going to get into the location topic of a new stadium, but what pleases me is that we now have someone with the business acumen, and financial clout, that can deliver such a project. In the past we’ve had to go cap in hand for help, rely on favours or project partners to come on board, whereas nowadays we have the funding and base to really get something off the ground. The signs are positive, and you get the feeling this is just the start. Even though there are plans for a new stadium, works are ongoing to make short-term improvements to Goodison Park and this is also refreshing to see. Obviously Goodison gets touched up each summer, usually with a lick of paint and a bottle of bleach, but this time there are structural changes taking place, cladding repairs and renewals, branding, and most impressively – the renaming of two stands in memory of two Everton icons. Firstly, the Gwladys Street was renamed the Howard Kendall Gwladys Street End, and the Park End has also now changed to the Sir Philip Carter Park Stand – both very relevant and a nice tribute to two blues who sadly passed away in recent times. Not all of this is down to Farhad Moshiri of course, but the way in which we are operating now does appear to be different and with him on board I believe we can go from strength to strength. We keep our values, but we raise our stock as a footballing force by aiming for success, improving our infrastructure and consistently moving forward both on the pitch and off it – it is a nice blend and vision to be a part of as a supporter and it is about time we moved with the times. Moshiri can help us do all of the above, and although it can take time to really see evidence of improvement and success, it is the progressive nature of our operation which is making me feel confident about what the future might hold and I certainly feel that we are moving in the right direction. As for matters on the pitch, time will tell as to who Koeman will bring in to reinforce his squad. It is evident that we are lacking in certain areas, and with some old faces now gone (Osman, Pienaar, Howard, Hibbert) we need bodies to fill these gaps. We have encouraging potential within our ranks and many young stars, however these need to be nurtured and not thrown in at the deep end, because we are left with no other option. 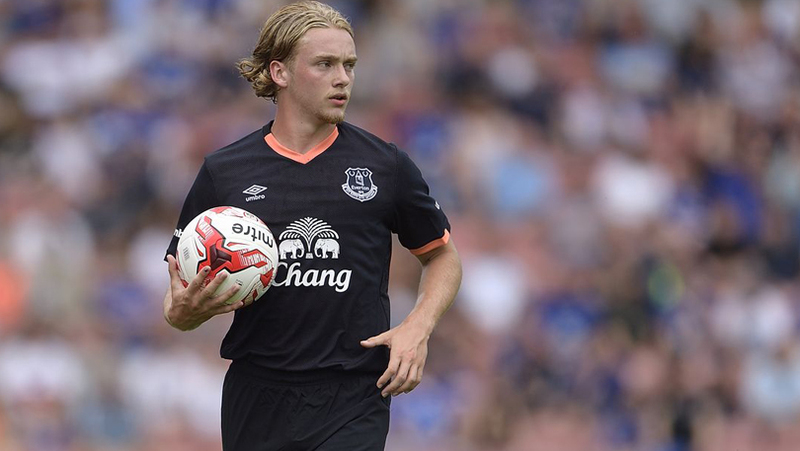 Many of these youngsters – Tom Davies, Conor Grant, Kieran Dowell and Matty Pennington – to name a few, will be in and around the first team this season and rightly so. Yet we still need to bring in quality too. I believe our core of young hopefuls will be given a chance under Koeman, but that takes nothing away from the fact that we simply need more players. A quality goalkeeper would be a start, at central defence I think we are OK if Stones stays – at full back we have sufficient cover – in the middle a central midfielder would be a necessity for me – McCarthy I’d move on, and who knows how long Gareth Barry has left – so it is essential we have a long term plan in this area. Gibson was given a new deal and maybe Koeman sees him as part of his plans, however we all know it is unlikely we will get a consistent run of games from him. Besic faces a big season ahead and could be a real star, similarly with Mirallas who we only saw in fits and starts last season. These players will all be eager to impress in front of their new manager but we need solid competition for places. Deulofeu and Barkley can be special this season if we keep them fit and playing – if Lukaku stays then those three, as well as Mirallas and potentially a couple of new faces, would lead an exciting attacking line at Everton. Down the left side we are quite weak in terms of attacking options and that is an area for concern. I’d expect the likes of Kone, Niasse and McGeady to leave and in reality we’d need to replace all three because we are already light as it is so would be worse off in terms of numbers if we allow more squad players to leave. Overall it is a rebuilding job for Koeman – many players have left and more will follow – so it is how he utilises the transfer budget he will have at his disposal and where he sees certain youngsters fitting in to his plans. Again I’m not worried about this, I do feel Koeman and Steve Walsh will put us in a position of strength come the end of August when the deadline passes, but of course I understand our fans frustrations that signings haven’t been made as yet. The European Championships won’t have helped our cause, and Walsh’s recent appointment could have also slowed transfer matters down, but now he is in his new role, pre season has started and players are moving from Clubs left, right and centre, I’d expect things to start picking up at Everton very soon. It is hard not to panic when you see sides making several signings and we have been linked with what feels like 500 players but I do believe that it is just a matter of time before we will witness some exciting announcements at Everton FC. I am confident that we will soon bring in players who can take us to another level and really kick on this season, and it is more a case of when and not if. For two years we’ve been tearing our hair out because we all know how good Everton can be on their day – we have some special talents and a solid base in that squad, youth and experience, the old cliche, but we just didn’t even get near to reaching our potential after that 5th place finish when Martinez first arrived. Now it is about Koeman attempting to drive this squad back up that table, adding players who will help that cause and instilling his own means and methods. It’s only early days but the signs are good already, pre season is going well, our players look hungry and Koeman is impressing our fans with his realism and honesty. Those two things were distinctly lacking with Roberto Martinez, who refused to be a realist, refused to be honest and insisted on papering over the cracks with positive spin. It doesn’t wash with football fans, and it didn’t wash with Evertonians who pay to see their side each week and could see our failings. We won’t get that with Koeman, and that was apparent when he gave his post-match interview following the game at MK Dons – he will say when he’s not happy and has a ambitious ruthlessness about him that will go a long way with Evertonians. Overall I’m excited to see how Ronald Koeman does as Everton Manager, he’s a man who is both likeable but seems like he takes no prisoners. With his new staff in place and Steve Walsh given a new role at Goodison Park, and with Moshiri implementing a change in mentality and a drive for success at Everton FC, what’s not to be excited about? The new players will inevitably arrive, we are facing a new dawn at Goodison Park and it is one we should all embrace. Now is the time to pull together and get excited about another new chapter for Everton FC; one with a new manager, a new set up, a new mentality and vision, new players and numerous talented youngsters coming through as well as looking forward to seeing our squad getting back to it’s best by shaking off the cobwebs of the Martinez era. What is also great is that all of this is being lead from the top by an astute, professional businessman who has the best interests of the Club at heart. The good times could soon be back at Goodison Park and it feels good to be positive about Everton again. Agree 100% there won’t be 100 mil there every transfer window, spend wisely not quickly. Koeman You Blues!! !